The world must stop producing and consuming plastic at current levels if the growing tide of waste in the world’s oceans is to be reversed, a leading marine expert warned last week. Dr Cornelius Detloff, head of marine protection at the German non-governmental organisation Naturschuzbund Deutschland (NABU), told manufacturers they had to “stop the exponential growth of plastics” and seek alternative materials. In a presentation at the K Show in Düsseldorf, Detloff acknowledged his call would not see him leave the event “decked in flowers”. Nevertheless, industry and the world’s consumers had to cut back in the amount of plastic that was being produced, used, and subsequently discarded, if the amount of plastics that was expected to enter the environment, and particularly the world’s seas, was to be reined in, he said. In the worst case scenario of plastic waste entering the oceans would rise ten-fold from current estimates of between 4.8 million tonnes and 12.7 million tonnes by 2025, he added. The problem of marine waste was often worst in countries where there was poor recycling, with Asia and the west coast of Africa often blighted by it, Detloff said.He said had been “shocked” by the scale and impact of marine litter during a recent two-week fact-finding visit to Ghana. As part of a strategy to address the problem of marine waste Detloff said the NABU wanted to see better resource efficiency; plastics production using more environmentally-friendly material, such as bioplastics; items made with durability and recyclability in mind; scrapping single use items such as plastic carrier bags and encouraging multi-use goods; better scientific research; binding objectives on countries and producers, and increased international cooperation. 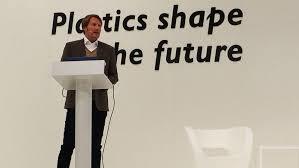 However Plastics Europe’s Germany director-general Rüdiger Baunemann, speaking after Detloff, said he “totally disagreed” with the NABU’s demand that plastic output be drastically reduced. 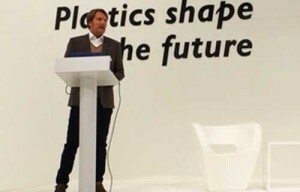 “Plastic gives us the opportunities to meet the challenges facing society, from light-weighting to healthcare, construction and climate change,” he said.“It can contribute to tackle the very things that cause problems for the world.“And Plastics Europe works with all stakeholders to support the elimination of litter as best we can,” he added.